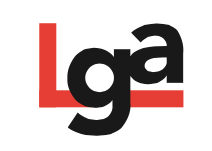 Kyle DiMaggio here, and I’m proud to announce that LGA will be rebranding and overhauling its web presence in October. We will no longer be known as “Land of Gazillion Adoptees,” we will simply become known as “LGA”. Under Kevin Haebeom Vollmer’s leadership, LGA became the most visible, well-known, and respected adoptee-centered media brand. There was no major adoptee-centered presence in discourse about adoption that was equally well versed in pop culture as it was in adoption policy and practices. As one of the major players representing the adoptee community, it has helped shift the balance of power in the conversation about adoption; it gave adoptee voices much more power to represent their own experiences and realities, complicating narratives spun by adoption agencies and advocates that speak in terms of ideals and selling points. LGA’s visibility and reputation affords us valuable opportunities to expand our reach and influence. It is now time for LGA to enter a new phase that broadens the organization’s scope to include more voices and perspectives from marginalized identities across the dimensions of race, ethnicity, gender, sexuality, and adoption status. This transition has been months in the making, and content-wise, things will stay consistent with what you’ve seen under my tenure. However, this rebrand will solidify that we are no longer solely focused on adoptee issues. 1. To represent the perspectives and issues of marginalized peoples in a vocal, dignified, nuanced manner. 2. To cultivate an online community for marginalized peoples and their allies to advocate for dignified social and political reform, one that elevates the consciousness of marginalized peoples by encouraging solidarity, highlighting intersectionality and shared issues; promoting healthy identity development and serving as educational resource. We will continue to aggregate news stories, op-eds, and essays on social media that will cover topics that you care about, and we also plan on releasing more of our own original content through the revamped website to be launched in October. Most importantly, we will maintain the same raw voice and identity we’ve become known for. Our current team owes thanks to Kevin for creating such a wonderful organization and tending to its wonderful community, and we wish him the best with Gazillion Strong, and his other endeavors. And likewise, we thank you and appreciate your support during this transition, and I’m so excited to see what we can accomplish together as a community through the new LGA.